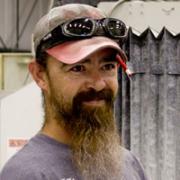 ​Mel is our stone fabricator extraordinaire! He grew up in Cache Valley but learned the granite countertop trade working in the Las Vegas area starting in 1998. 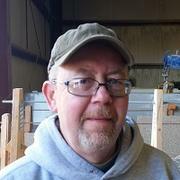 In 2003, when CVCT built their stone fabrication facility, they hired Mel to manage the shop. He takes pride in his work. He loves fishing almost as much as working. Mel did a tour in Iraq during Operation Iraqi Freedom. So if you bump into Mel, thank him for his service. And yes, that goatee is real! ​Mike worked for CVCT from 2002 to 2008. During this time he worked in the shop as well as managed our field operations. He left CVCT for a time, but started working for us again in 2012. He is now our laminate fabrication foreman. 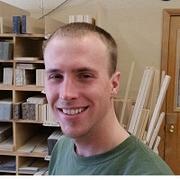 Mike is familiar with almost all areas of CVCT but now spends his time building your beautiful laminate countertops. ​Derek runs our cabinet shop. 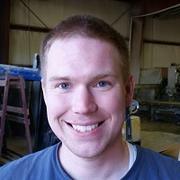 He is responsible for the assembly and production of all the cabinets we sell. He works hard to make sure our quality is the best in the business. Derek likes it cold in the shop so even during the winter the overhead doors are open. He drinks water like a camel too! 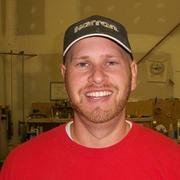 Derek also does a lot of deliveries so you may bump into him while he is delivering your cabinets for our installers. ​Matt recently returned from an LDS mission in Africa. He works in our laminate shop building countertops. He is always making his coworkers smile with his jokes. Once in awhile he even says something serious. He is prone to locking himself out of his apartment. Matt loves cuddling with his puppy and wet slobbery kisses. He is hoping to upgrade to a girlfriend. ​Randy works in our cabinet shop. He worked for CVCT for several years before the crash of 2008 when he was laid-off. He finally found his way back home recently! Randy is dependable and steady. He takes pride in his work and always does his best. He doesn't like rap music but he can usually tolerate the hard-rock / heavy metal / thrash metal / so-called "music" Derek forces him to listen to. 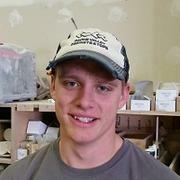 ​Sam works in our stone shop building granite and quartz countertops. He is attending USU on a scholarship and working towards a degree. He recently got married. Sam is smart and a hard-worker. He grew up on a farm so he can do about anything we need him to do. He comes and goes as his school schedule allows. He loves VERDE BUTTERFLY granite and FLAT POLISHED edges!